We started with the app and quickly pivoted into a developing a workbook to accompany the playbook experience. 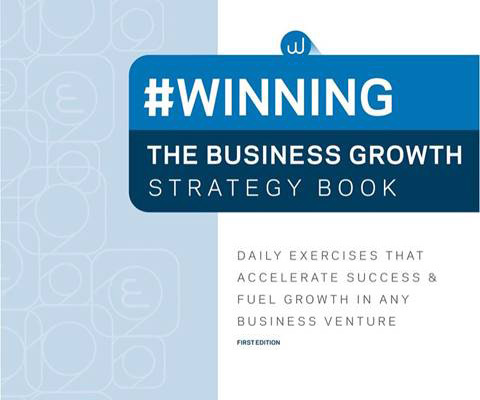 In 2016, we published #WINNING: The Business Growth Strategy Book on Lulu.com and added some cool new features. In the #WINNING workbook, you get case studies, playbook questionnaires and a Winly ™ SWOT analysis. Many of us prefer to jot notes down on paper and we were happy to create a product that fit the workstyle of many entrepreneurs. To order our #WINNING workbook, click on this link. Our product journey has led us to the place where unicorns graze – the Platform. 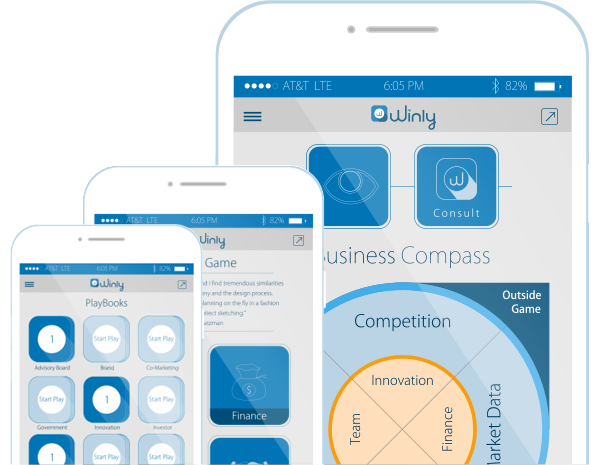 We launched the Winly Playbook Platform in 2017. Join like-minded business owners. Get your relevant business news. We created and are curating a community exclusively for business owners and entrepreneurs to connect, collaborate and become more confident in the field of business. Our technology will deliver a business dashboard into the hands of millions of entrepreneurs. The reality of this milestone makes all of the investment of time, capital and energy completely worth it!